Films possess virtually unlimited power for crafting broad interpretations of American history. Nineteenth-century America has proven especially conducive to Hollywood imaginations, producing indelible images like the plight of Davy Crockett and the defenders of the Alamo, Pickett’s doomed charge at Gettysburg, the proliferation and destruction of plantation slavery in the American South, Custer’s fateful decision to divide his forces at Little Big Horn, and the onset of immigration and industrialization that saw Old World lifestyles and customs dissolve amid rapidly changing environments. Balancing historical nuance with passion for cinematic narratives, Writing History with Lightning confronts how movies about nineteenth-century America influence the ways in which mass audiences remember, understand, and envision the nation’s past. In these twenty-six essays—divided by the editors into sections on topics like frontiers, slavery, the Civil War, the Lost Cause, and the West—notable historians engage with films and the historical events they ostensibly depict. Instead of just separating fact from fiction, the essays contemplate the extent to which movies generate and promulgate collective memories of American history. Along with new takes on familiar classics like Young Mr. Lincoln and They Died with Their Boots On, the volume covers several films released in recent years, including The Revenant, 12 Years a Slave, The Birth of a Nation, Free State of Jones, and The Hateful Eight. The authors address Hollywood epics like The Alamo and Amistad, arguing that these movies flatten the historical record to promote nationalist visions. The contributors also examine overlooked films like Hester Street and Daughters of the Dust, considering their portraits of marginalized communities as transformative perspectives on American culture. 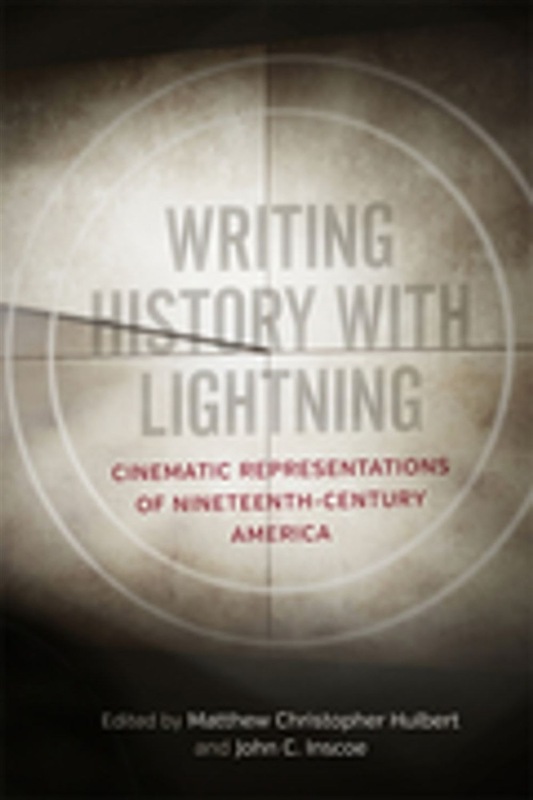 By surveying films about nineteenth-century America, Writing History with Lightning analyzes how movies create popular understandings of American history and why those interpretations change over time. Acquista Writing History with Lightning in Epub: dopo aver letto l’ebook Writing History with Lightning di Marcus Rediker, Matthew Stanley, Tom Lee... ti invitiamo a lasciarci una Recensione qui sotto: sarà utile agli utenti che non abbiano ancora letto questo libro e che vogliano avere delle opinioni altrui. L’opinione su di un libro è molto soggettiva e per questo leggere eventuali recensioni negative non ci dovrà frenare dall’acquisto, anzi dovrà spingerci ad acquistare il libro in fretta per poter dire la nostra ed eventualmente smentire quanto commentato da altri, contribuendo ad arricchire più possibile i commenti e dare sempre più spunti di confronto al pubblico online.